Although this may be deemed as “The District of Doom,” it wasn’t as hard as I thought it would be to predict how the seedings would go earlier tonight in Harrisburg. However, I don’t anticipate that every better-seeded team will win each game. Expect a few upsets over the course of the week. Although the other four districts haven’t been posted on MSHSAA’s website, Mick Cropp texted me earlier tonight and said his Glasgow boys got the No. 1 seed in their districts and Tina-Avalon was No. 2. My first incorrect prediction of district seedings came at the No. 3 seed, which I believe went to Keytesville instead of Bosworth. He also said the Glasgow girls drew the No. 2 seed in their district as well. 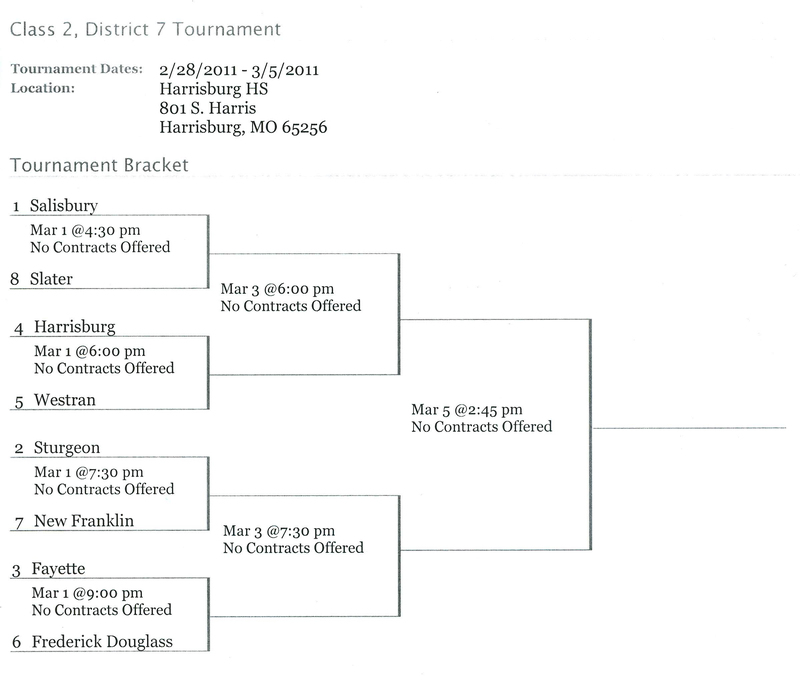 As I said, the Class 2 District 7 brackets will be posted in Saturday’s newspaper. 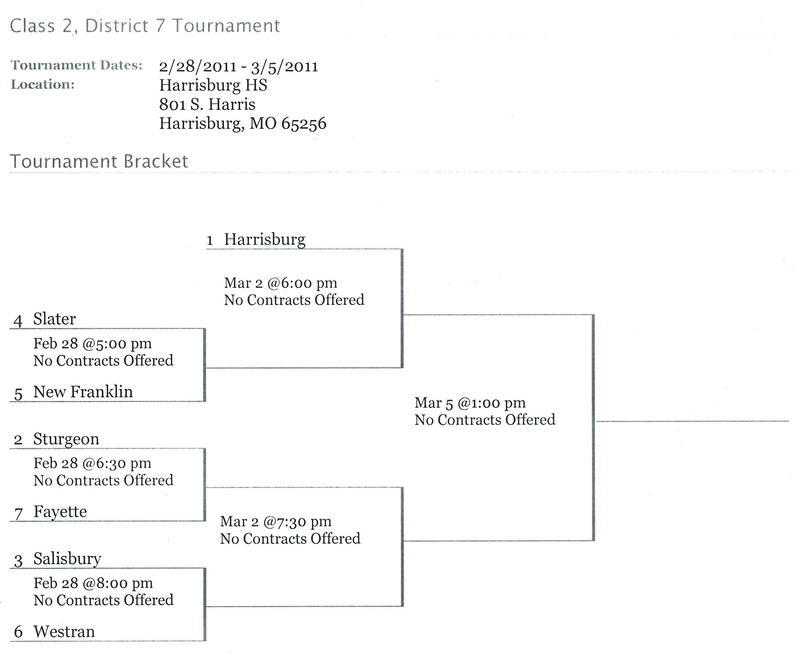 All games will be played at Harrisburg High School this year. This entry was posted in Fayette High School basketball, Tournaments. Bookmark the permalink.